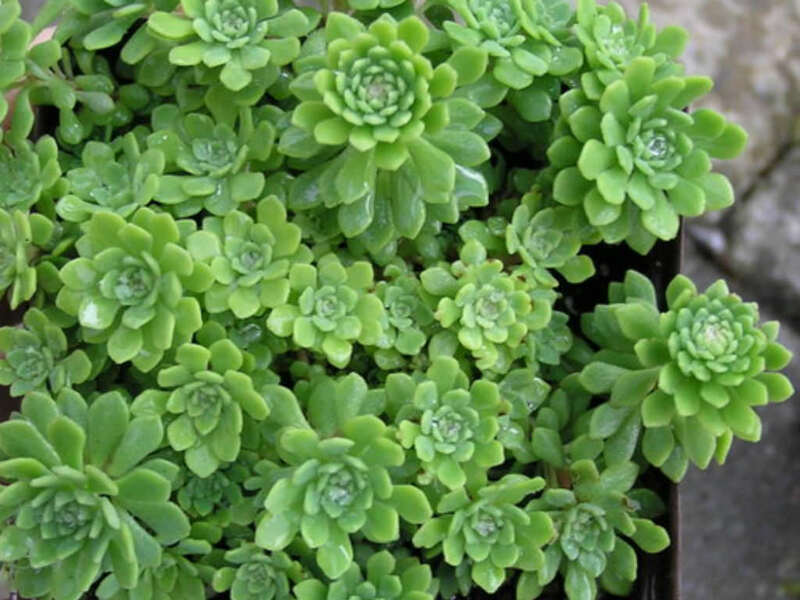 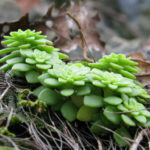 Sedum nevii is a perennial, succulent herb, forming a ground-hugging network of stems bearing rosettes of evergreen leaves at the ends of the stems. 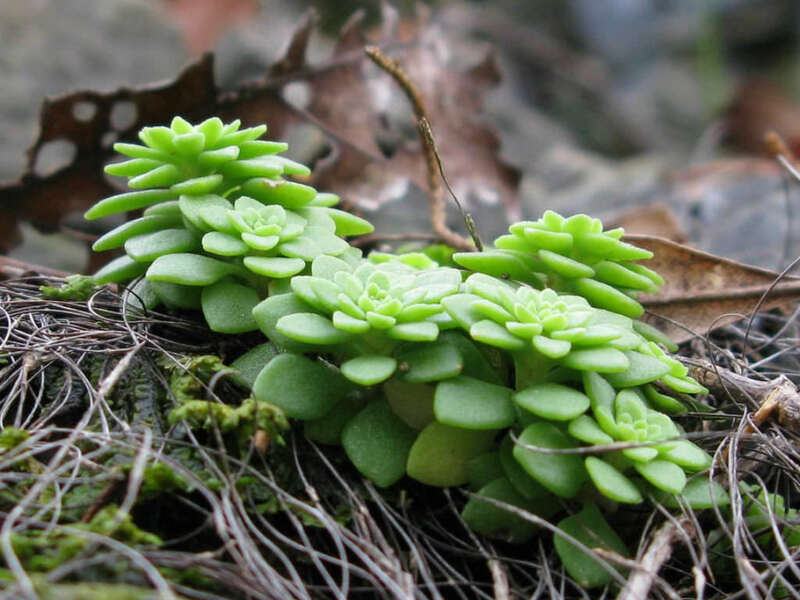 Rosette leaves are small, flat and spoon-shaped. 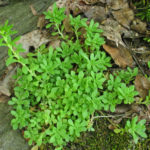 Stem leaves are usually less than 0.6 inch (1.5 cm) long, narrow, pointed, slightly flattened, with a spur at the base curving away from the stem, alternate, spirally arranged around the stem, deciduous, gray-green. 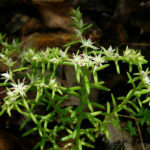 Flowering stems erect, up to 6 inches (15 cm) long. 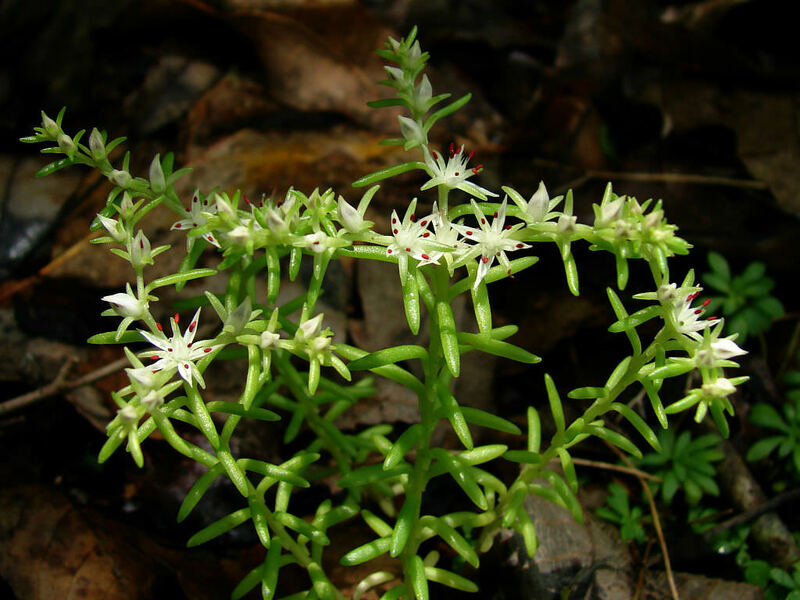 Flowers are white, star-shaped and 0.4 inch (1 cm) across. 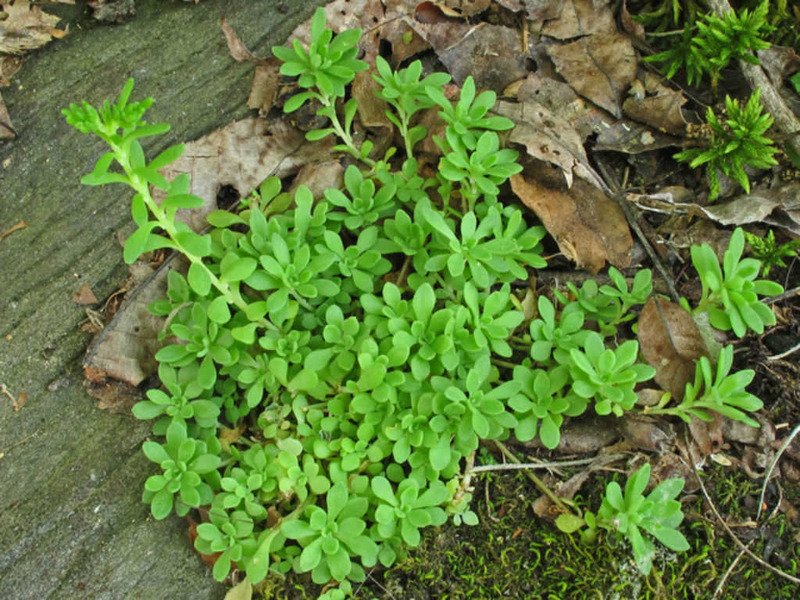 Native to United States (dry, shaded areas in Tennessee, Alabama and Georgia).